Assistant coach Nick Easter says the Sharks learned valuable lessons from their previous defeat to Western Province. In a rematch of the 2017 Currie Cup title-decider, the Sharks and Province will slug it out in Saturday’s final at Newlands. 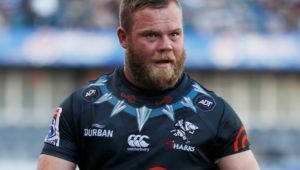 Earlier this season, Western Province got the upper hand over the Sharks again when they claimed a comfortable 50-28 win in a league match in Cape Town. 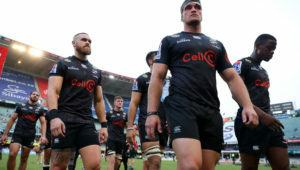 Easter, who joined the Sharks’ coaching set-up for the duration of their Currie Cup campaign, suggested that the defeat was a turning point in their season. ‘It was a big wake-up call regarding where we were. We had been stuttering along, but we are getting more consistency now because we learned what it will take to become champions,’ Easter told the media in Durban on Monday. ‘We have had first-hand experience of what a quality side they are, how lethal they are, so we have to be well prepared and focused for 80 minutes. There is much more clarity now in terms of what we want to achieve. Our turnover rate was too high in previous games and Province in particular punished us … They exploited certain flaws in our systems as well. 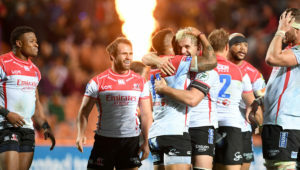 The former England No 8 heaped praise on Western Province for their unbeaten campaign to date, and reiterated that the Sharks need to be disciplined on defence to keep the hosts from scoring for as long as possible in the final. ‘WP are a very, very good side and they score a lot of points. Even in the game at the weekend they managed to put 30 points on the Bulls before extra-time, and they scored four tries in the wet the week before, so we know they score points and that means we will have to keep them out for long periods of the game,’ he explained.